Microdermabrasion is a gentle treatment to remove the upper layer of dead and damaged skin cells to reveal new fresh skin. Clients with fine facial lines or wrinkles, age spots, sun damage, uneven pigmentation, clogged pores, and skin texture problems or minor scars are good candidates. It is a mild and non-invasive procedure that gives great results. DO NOT expect to eliminate sagging skin or correct deep facial creases or folds. Mild redness can occur, but there is no “down time”. You should be able to continue with your every day activities immediately after a treatment, although sunscreen must be used to avoid doing damage to your “new, clean and clear” layer of skin. 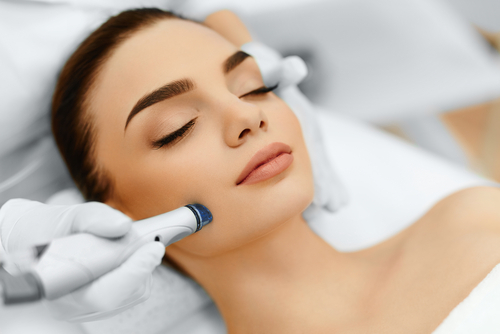 You will feel and see a difference after one treatment, but microdermabrasion was developed to be used in a series of treatments 2-4 weeks apart.